I am a variety person and much prefer nibbling on many different things than just indulging in one. You can call me flighty all you want, but I say, my way is more fun! So, I was super excited when I found out we were to make Mezze Table for the Daring Cooks February edition. 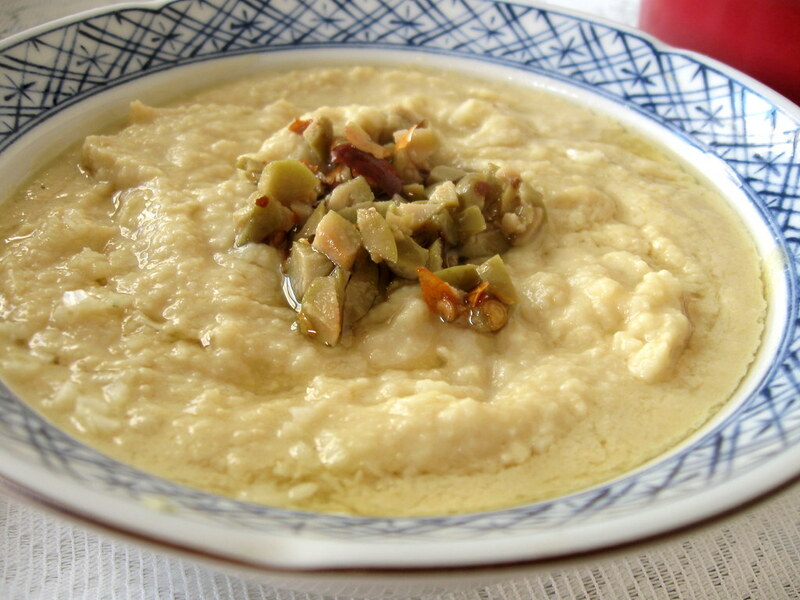 The challenge is to prepare a Mezze (pronounced “mez-ay", although many people seem to pronounce it as "mezz”) Table including, but not limited to, homemade Pita bread and Hummus. 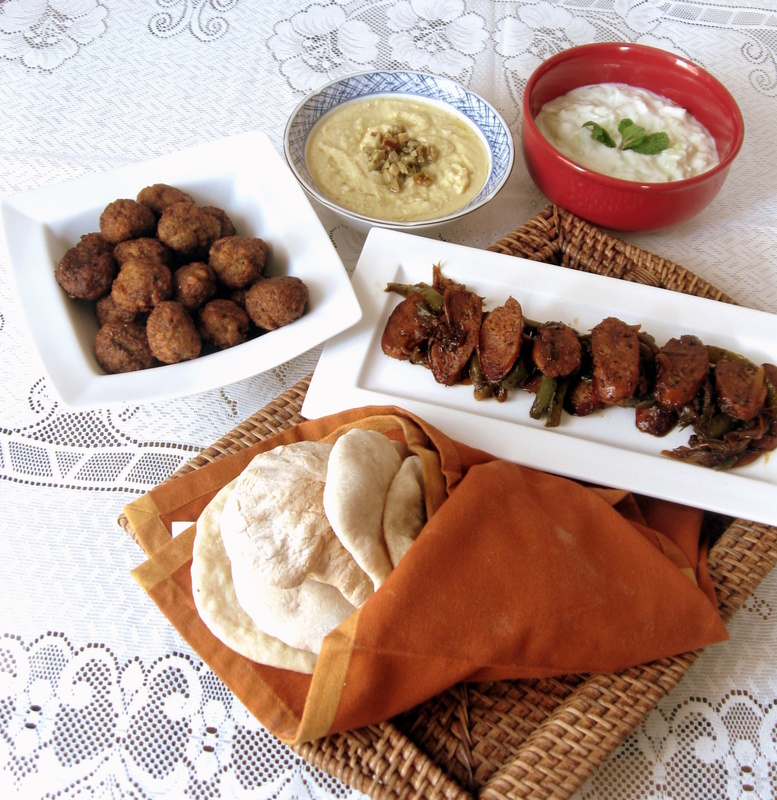 If you’re not familiar with mezze, it’s more of a style of eating than a specific recipe or recipes. Mezze is a bunch of small dishes served all at once—sort of like the Middle Eastern version of Spanish Tapas. It can be served as appetizers before a meal, or as the meal itself. 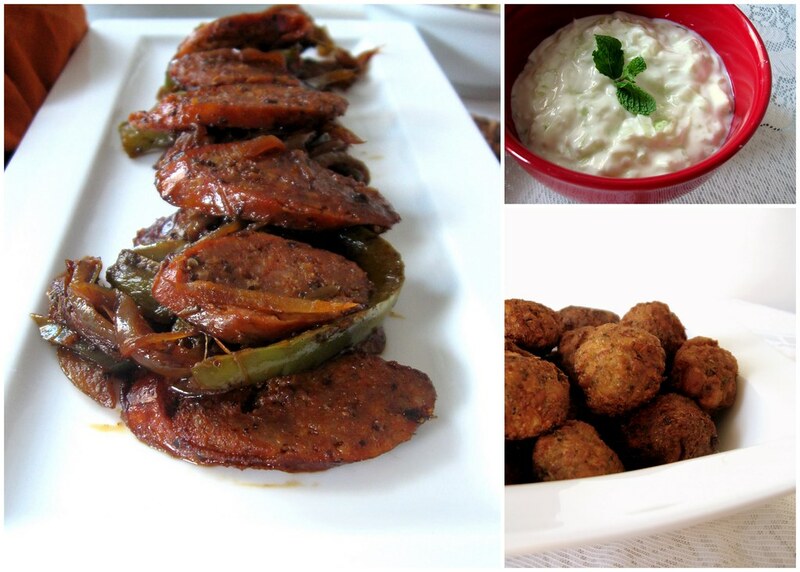 As soon as it was announced on the 17th, I started researching on Middle Eastern Tapas ideas. The mandatory part of the challenge included the pita bread and hummus made from scratch and the rest of the table was left to our imagination. As you know, that last part runs really wild in my case. So, I spent hours poking around the internet and reading recipes and had drafted a sample menu in my head by midnight. Then, the next part was to figure out whether I should make this a party and share the creations with friends or take the safe option and make a couple's meal. Mr. FSK has this notion that it isn't polite to make my friends guinea pigs, so it's usually the tried and tested when we entertain. But the serious cook in me would really like some variety (there I go again!) in taste-testers! I panicked! I had too much to do on my plate - the velvet cake for the Velveteers challenge and then the mezze. As it usually happens though, things just worked out and I even got my wish for a non-hub person pass verdict. The Verdict: It was rather easy to put together the table and indulge your fancy as well. The falafels came out well as did the bread (although, it did not puff up as elegantly as it is supposed to). I loved the Tzatziki but would skip the garlic in it next time. I think the one item, I would include the next is a Greek chopped salad. I like it when they fill a pita sandwich with it and then top with the other stuff. 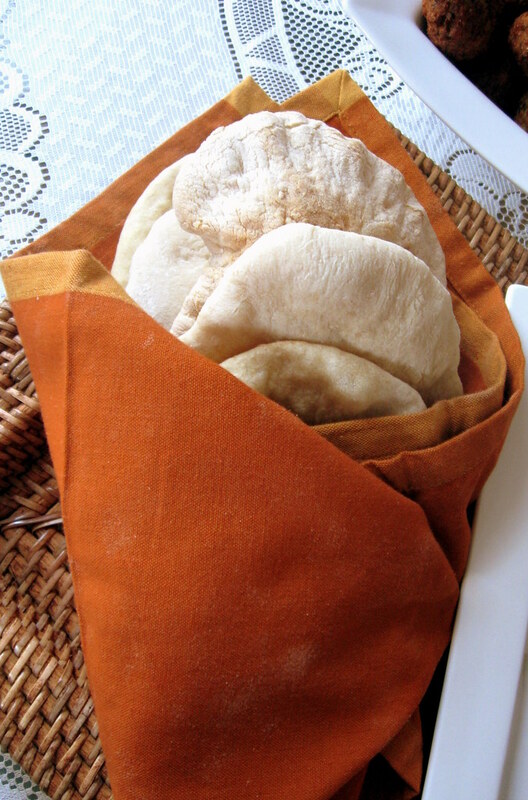 Also, sending the Pita Bread to our friendly,neighbourhood Yeastspotting team! Soak the chickpeas in a large bowl in enough cold water to cover them by at least 2 inches. Let them sit overnight. Pulse together the drained, uncooked chickpeas, onions, mint, cilantro, salt, hot pepper, garlic and cumin. Process to a meal like consistency. Sprinkle in the baking powder and four tablespoons of the flour, and pulse. Add enough flour so that the dough forms a small ball and no longer sticks to your hands (I didn't have to). Turn into a bowl and refrigerate, covered, for several hours. Form the chickpea mixture into one-inch balls. Heat 3 inches of oil to 375 degrees in a deep pot or wok and fry the balls three at a time till golden brown. Saute the sausage in a non-stick pan until cooked. Remove the sausages and let cool. Meanwhile, saute the onions and peppers in the sausage drippings until soft. Cut the sausages on a diagonal bias and add to the onion-pepper mixture. Sprinkle salt and oregano and cook for a few minutes. 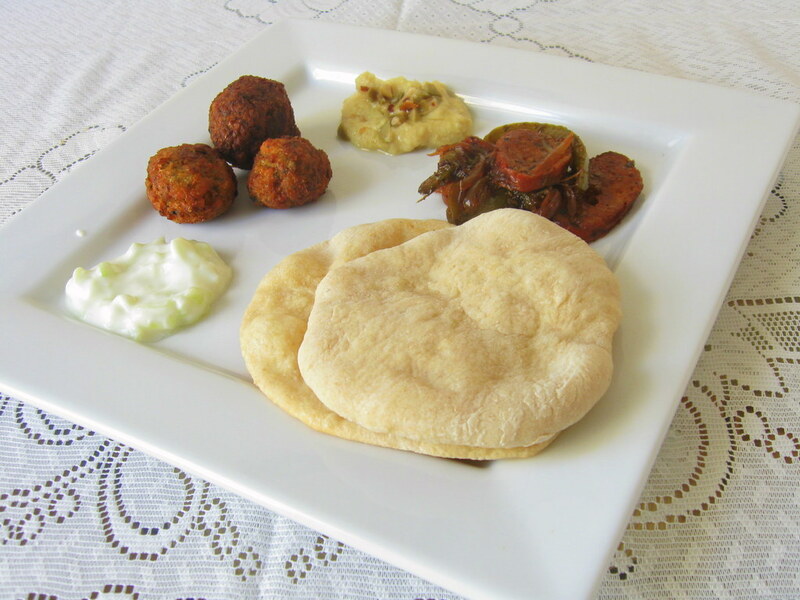 For the Pita Bread and Hummus recipes, please click here.